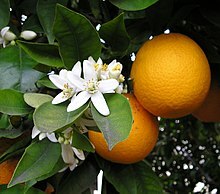 ^ 1.0 1.1 Citrus sinensis (L.) Osbeck. In: The Plant List (2013). Version 1.1. Published on the Internet; http://www.theplantlist.org/ [2017-9-5]. ^ FAO Statistics Statistics for 2005. Retrieved on 2009-06-19.